Email this • Share on Facebook • Stumble It! • Add to del.icio.us • Digg This! 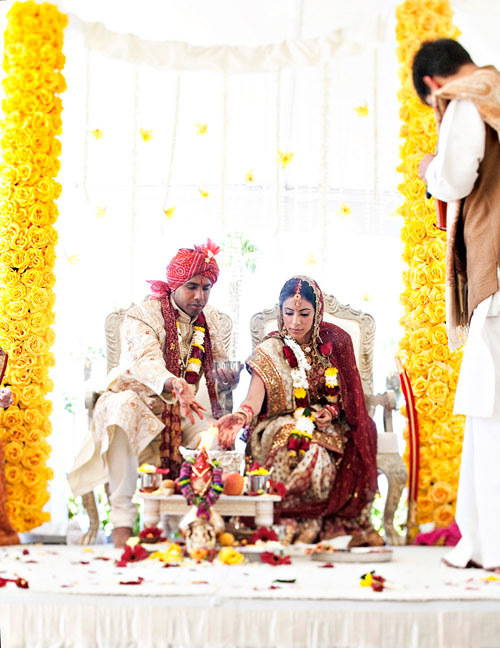 Indian weddings are so beautiful! I love the color. I love the movement. I love the fun. I love the celebrating of both families. 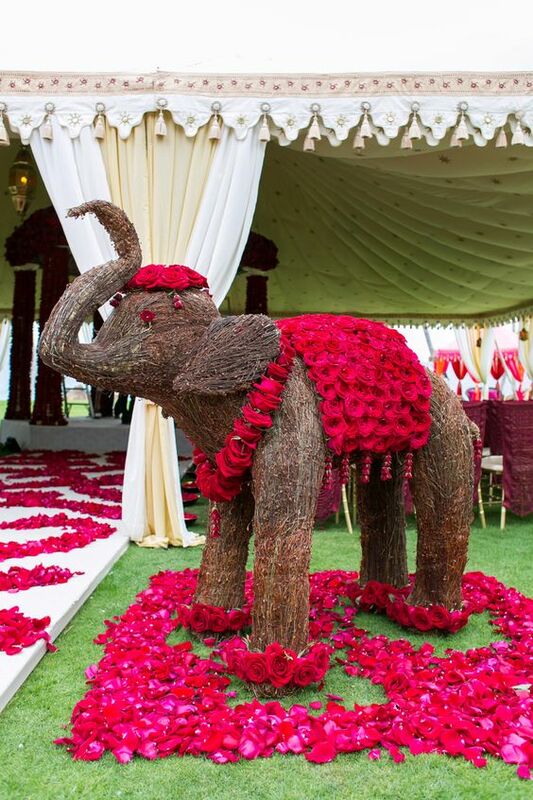 And of course I love the groom arriving on a elephant or white horse. Just fabulous! Nikki is amazing! So incredibly talented and just an exceptional woman and the images are captured so beautifully. The contemporary rose/orchid arrangements by tic-tock are some of my favorite that I've seen all year and the blanket of roses in the first image (not sure who did it) is gorgeous! Gorgeous!! I love all the colors, costuming, from tradition to modern; I Nikki knows her stuff, and is a true professional specializing in the unique and exotic!! A Silver Anniversary – The SLS Hotel When Harmala and Gurjeet first met 25 years ago at the home of Harmala’s sister, the connection was instant and vibrant. The two were married on September 15th, 1985 in Delhi, India and this year, they celebrate their Silver Anniversary. Twenty-five years is a great milestone and the couple could think of no way to spend it more meaningful than to share their joy and love with their family and friends. 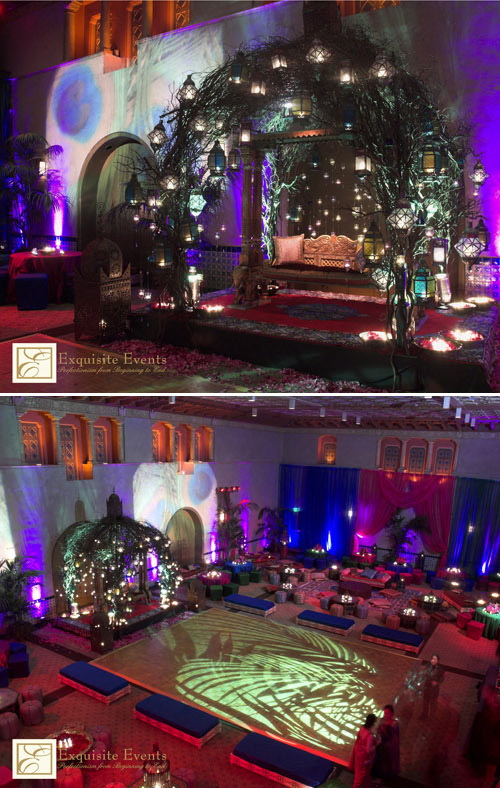 When faced with the planning of such a special event, Harmala knew she wanted not only the most creative artist in the field, but also someone who could represent 25 years spent together in an entertaining, elegant event. 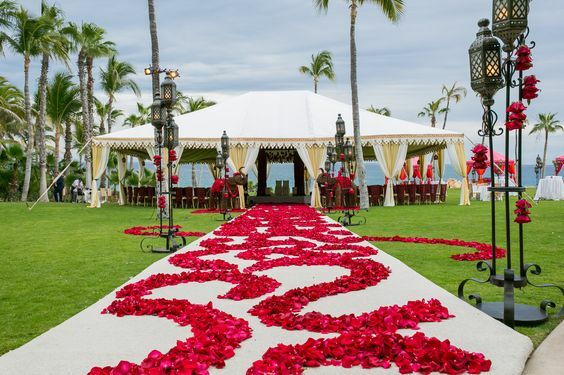 Harmala felt she had found that someone when she first met Nikki Khan of Exquisite Events at an event Nikki designed at the Beverly Hills Hotel. 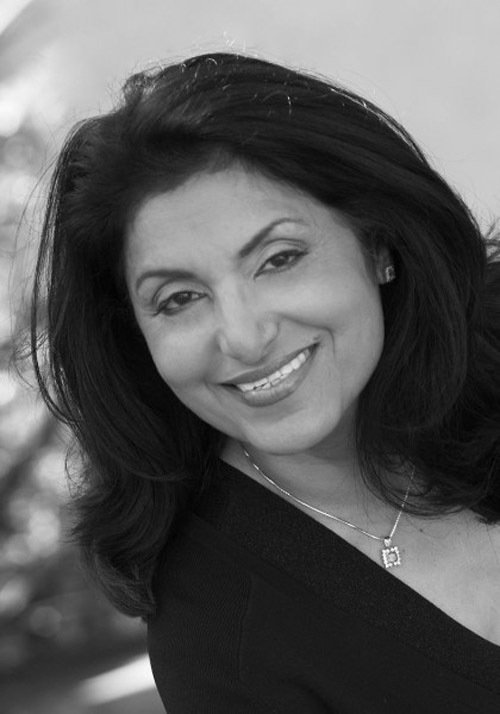 Nikki came recommended to Harmala and Gurjeet by several of their loved ones who had entrusted Nikki with their most precious moments and life events. 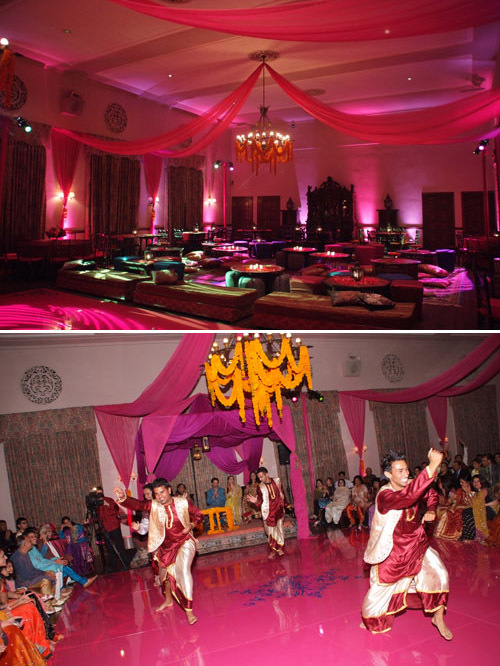 Her attention to detail and exemplary taste have earned her a fine reputation in the special events industry, where she specializes in Indian celebrations. 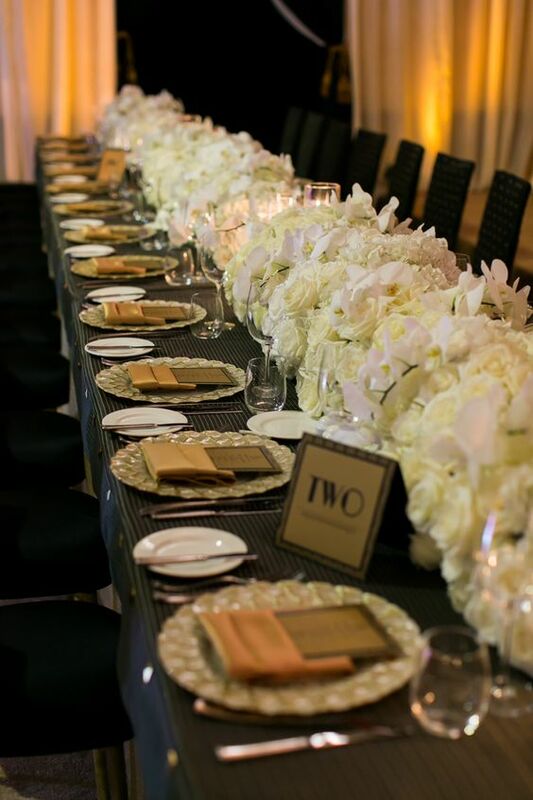 Harmala approached Nikki about her upcoming Silver Anniversary celebration, knowing she had a vision for her event that was contemporary and cutting edge, which would incorporate silver elements and shimmer with the elegance that Exquisite Events is known for. Nikki came to the SLS Hotel and, immediately, both ladies fell in love with it. Created by acclaimed New Design master Phillipe Starck, the SLS sits at the crossroads of Los Angeles and Beverly Hills and features some of the most striking elements expressed among luxury and boutique hotels. 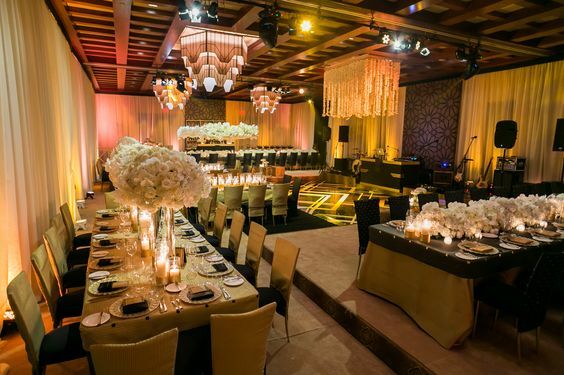 The vast ballroom Starck designed features beautiful Venetian mirrors. It was upon first seeing those mirrors that Nikki’s vision for Harmala’s Silver celebration truly began to form. 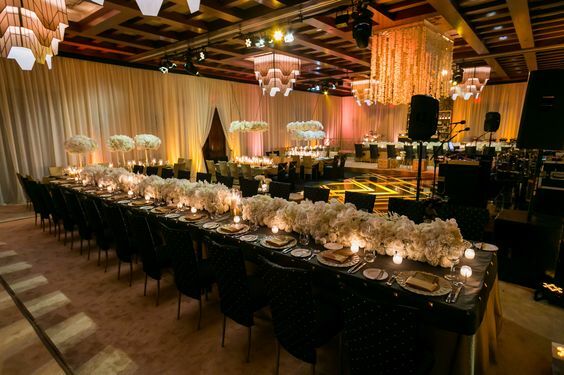 Mirrored tabletops and clean, modern lines would begin to tell the story and Nikki immediately called Luxe Event Rentals to set up an appointment and show Harmala what she had in mind. It was of principal importance to Nikki that her design complement and not compete with Starck’s masterful execution and so the lines she brought into the space would be long and clean, elegant and strong. 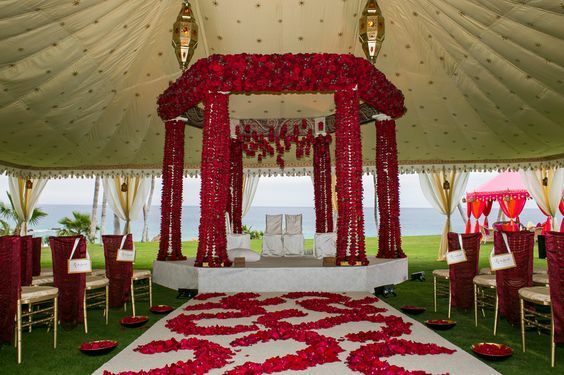 Rectangular mirrored tables lined with Ghost Chairs would run parallel to the length of the room, flanking the dance floor and leading to the stage where the band was going to perform and head table by the entrance which the couple would share with their two daughters, Praneet and Noor. Nikki wanted something shining and brilliant to set the stage in front of the feted couple and their daughters and so designed a tight, silver-grey chiffon drape, triple-pleated with a front layer of Swarovski crystals as the stage backdrop. 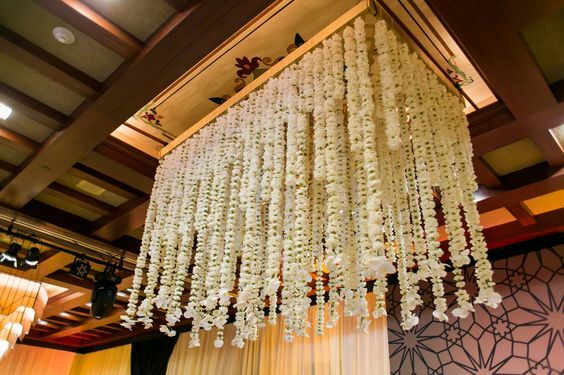 With basic furniture elements of her design in place, Nikki called upon expert floral designer Eddie Zaratsian of tic-tock Couture Florals to express the design concept in floral arrangements and add new dimensions to the room. Using thousands of black magic roses, Eddie created multiple tablescapes complementing the modern décor and adding a richness and lush texture to the room. In one look, Zaratsian used tall fluted black glass vases, placing spheres of black magic roses and a cascade of soft, white phaelanopsis orchid atop each. Interspersed between them were low and lush arrangements, black cubed containers tight with black magic roses. In another, a long and low, rectangular boxes, mirroring the lines of the table was filled with the deep-hued roses and surrounded by glowing votive candles. With the floral elements decided on, Nikki selected very simple glass chargers for the tabletops and beautiful platinum, double-sided satin napkin from luxury linen house, Wildflower Linens; whose founder, Young-Song Martin is a former fashion designer who now creates custom linens and accessories for the most prestigious and exclusive events in the nation. For Harmala and Gurjeet’s Silver Anniversary celebration, a Van Cleef and Arpels inspired napkin ring was selected from among Young-Song’s designs to add a subtle bling. As each aspect of the design and décor was finalized, the time arrived to call Vivian at paper girl, inc. to create the invitation that would begin to tell the story of the event and create the guests’ very first impression of delights to come. When I spoke with paper girl herself, Vivian Ip, I could hear her smile on the other end of the phone when I mentioned the silver anniversary soiree. Inspired by a custom design she did for Cris Angel, Vivian used charcoal and silver ink to create ornate lettering and a damask pattern on Star Dream Quartz paper before mounting it to a die-cut envelope and overlaid with beveled plexi-glass. When the day of the event arrived, Harmala and her daughters spent the day in the SLS Spa while Gurjeet relaxed upstairs. The ladies enjoyed some of the SLS’ most luxurious services before having their hair and makeup done at Ciel Spa and Salon in the SLS. When Harmala and Gurjeet’s guests arrived at the SLS Hotel on September 25th, they exited their cars at the valet and walked a silver-platinum runner emblazoned with a grand 25 through garden terrace’s private entrance. The two daughters stood at the door greeting each guest personally, ushering them to a cocktail hour where they enjoyed tray-passed h’ors d’oeuvres from Jose Andres’ The Bazaar. A James Beard Award-winning chef, Andres not only designed the menu at The Bazaar but also for all catering and in-room dining at the SLS Hotel. Andres is most widely recognized for his introduction of Spanish cuisine and tapas to the United States. For the cocktail hour menu, Harmala and Gurjeet selected items that were light and flavorful. As guests said hello to one another and the happy couple made their way around, perfectly dressed hotel staff carried hand trays of endive with orange segments and shaved almonds, thinly sliced jicama with guacamole, peeled cherry tomato skewered with a pipette full of mozzarella, marinated salmon roe served in a cone with dill cheese and mini mushroom and cheddar cheese steaks served on airbread. A trio featuring guitar, saxophone and keyboard provided a mellow, engaging soundtrack to the cocktail festivities. At the close of the cocktail hour, guests were invited to the SLS Hotel's beautiful Albert Ballroom to welcome the couple to their Silver Anniversary celebration. Once their family and friends had taken their seats, a hush came over the room as Harmala and Gurjeet made their grand entrance, stepping straight into their first dance. Sat sri akal (hello) he said back, like he had a choice? A relationship so strong, wow. A marriage so beautiful it had to be fate. The poem was such a moving moment for everyone who was there that, in the end, it took a moment for guests to react when the band invited everyone to dance. But no one hesitated for too long, because in just a minute the dance floor was full with all the guests joining the beaming pair. For Harmala and Gurjeet, one of the most enjoyable aspects of planning this event was assembling this playlist for their guests and laughing together over the memories they share with some of the songs. Nine-piece band Rossi Music played the selection of songs they created just for this night; songs, mostly from the 80’s, that would get their guests moving and set a fun and celebratory tone. 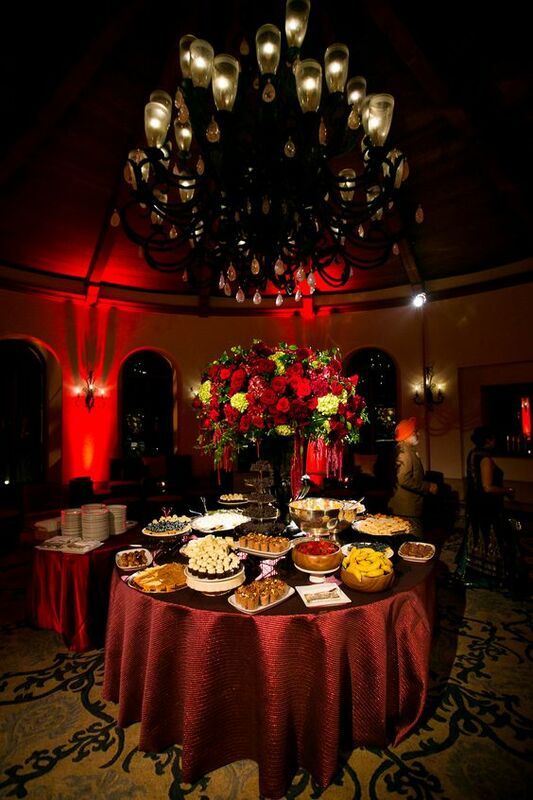 When the buffets opened, guests were treated to an array of internationally inspired dishes. For starters, guests were able to enjoy black bean soup served with bowls of guacamole, corn nuts and tortilla strips, tomato and boconcini salad with a pesto and balsamic reduction, cous cous salad and diced apples with shaved fennel salad, manchego cheese, walnuts and cava dressing. For dinner, wine was served tableside and, for entrees, guests were able to select from Striped Bass Veracruz, roasted Jidori chicken breast with pearl onion and vinsanto sauce, house made 3 cheese ravioli with seasonal mixed mushrooms and morel mushroom sauce topped with fresh Parmigiano-Reggiano cheese, grilled Asparagus with romesco sauce and Olive oil poached fingerling potatoes vegetable jus with micro herbs. Dessert offered an assortment of sweets: chocolate tart with cardamon, blueberry and lavender, assorted petite cookies, bon bons and chocolate wafers. When ten o’clock arrived and it was time to cut the cake, guests gathered with the happy couple for this bite, twenty-five years in the making. For her cake, Harmala knew exactly what she was looking for and brought her vision for three smooth, pearly tiers of fondant over white velvet cake with a damask-inspired pattern of platinum beaded hearts and crowned with a shimmering 25 to Rosebud Cakes where Cory Pohlman was all too happy to indulge her! Charged with decorating this fabulous dessert, Cory piped buttercream in a brocade pattern, and touched it with edible silver to give an effect of embedded rhinestones. The cake table was a gorgeous creation all its own. Nikki designed the beautiful display, dressing it in a matte satin underlay with silver paillette overlay creating a gorgeous custom cake stand using Kathy Jo Peterson’s Raise The Cake and then surrounding the cake with glowing votives. After the cake cutting, Rossi Music stepped from the stage and turned entertainment over to DJ Ajay Manaktala who played Indian music and kept the guests dancing until 1am. Though this Silver reception was nothing like the one at Harmala and Gurjeet’s first wedding, the sense of excitement, romance and joy was as present if not more so, as this happy couple celebrated their love with friends and family. Their secret to making it this far? “Communicate. Listen. Communicate.??? Uncensored! 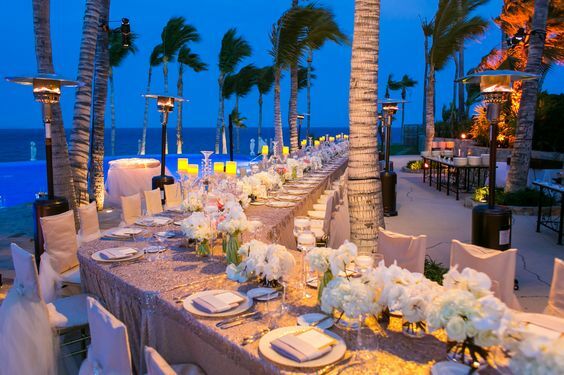 is THE conference for event planner who are serious about doubling their income, solving the challenges of finding (and keeping) the right clients, and becoming inspired with ideas and systems from some of the best in the industry. Uncensored! will help you build your business and increase your bottom line by revealing all the trade secrets! Nikki and Madiha spoke at the conference on November 2010 at the Palomar Hotel in Westwood. We presented as part of the panel lead by Mary Dann. Our panelists included Colette and Kaitlin Lopez from La Fete Weddings. Great Fun! and so informative! Thank you Marley Macher, CEO of The Party Goddess, for including us in this special day! !